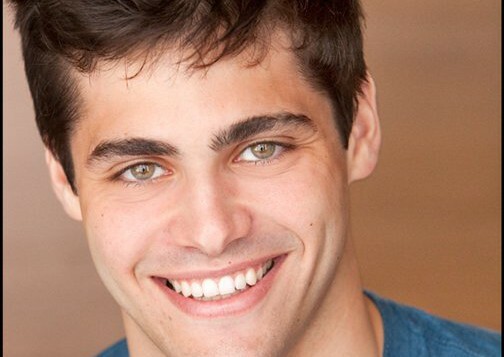 On Friday, Shadowhunters brought us our Alec Lightwood in Matthew Daddario. And now, Alec speaks! Shadowhunters social media shared a video message from our Alec where he shares his excitement about getting to portray Alec and his thanks to the fans for his positive reception. Shadowhunters is set to begin principal photography on May 25 in Toronto and will premiere in early 2016 on ABC Family. I’m really thrilled to see how he’ll play Alec. he’s so adorable! just give him blue eyes and he’s perfect! i really hope his acting is great like the alec in the film. and hope he’s taller than what iv seen on his bio, since his sis alexandra is 5’8 and just saw a photo of them together, he looks much taller. that only leaves us about his better half, where the goddamn f**ck is our MAGNIFICENT WARLOCK??! oops, sorry just sooo excited who will be Magnus is. I know it would be awsome if he had blue eyes because it goes back to will herondale but I guess if it could be bothersome to wear and affect his acting them I’m ok with no blue eyea. His hair needs to be black though and I think his like 6″2 I saw him standing side by side with Alexander Ludwig in a pic and he seems as tall or taller than him. That’s great right! I hear you Hazelwoodbane ideally it would be awsome. I’m actually secretly hoping he wear contacts for eye sight so he can get some blue ones hahaha. I actually like him better than the movie. Kevin zegers is a good actor really but i always picture Alec taller well taller than jace at least and Kevin zegers is not that tall but he does have beautiful blue eyes. Also he did look a lot older than the age the book described. Anyways yeah I hope they find a tall Magnus out of all the actors I think his the one that I’m really looking forward. I’ve read all of the books and I love Magnus the one in the movie was ok. I guess he needed more glitter hahaha. I know hazelwoodbane even the way Godfrey talked it was too serious and Magnus is very sarcastic and he wears crazy cloths with lots of glitter lol. I honestly like Godfrey’s look a lot and he is what I would picture Magnus, but he needed color and glitter I mean lots and lots of glitter haha, but I hope they get a good one since they are not bringing anyone from the movie, I have high expectation at least for him cause his my favorite. I honestly cant wait for the show I recommended the books to different people of different age groups and they fell in love with them. Its amazing how Cassandra Clare had the ability to build a world that so many people would like to live in. I think Godfrey is shy and they dubbed his voice badly. but during the scene that he walks in on the institute, he seems more Magnusy: tall and proud at the sametime very caring to alec. yeah, u know what i mean. anyway, hope they get the perfect Magnus. tho at the rate this is going, def they will choose him carefully since hes one of the most important characters in the series! and they dont want to screw it this time around. hey esme, we’re flooding the comment section turning it into a chat box..dont u think? hahaha 🙂 we know how much a fangirls we are!!! hahaha, hooray to that! cheers to Cassie! I get you Hazelwoodbane Godfrey did look like our magnificent magnus during that scene but he was a bit serious for my taste because I read the books and magnus has a huge personality hahaha. I know we’re turning it onto a chat box I blame it in Cassie for making such amazing books and getting us all exited for the characters for the tv show. I know I guess you don’t realize your a fan girl until you bring up the books in most conversation 🙂 I’ve read several now very famous young adult books but this book are so different since we get to know all characters personally.. so far I’m happy with the casting I’m glad that we got a chance to continue the series even if it’s with different actors. He looks like he is going to be a Perfect match for Alec. Where is his other half? Oh Lord, that voice though. I’m officially a puddle of warm goo. Can you write me what he’s saying? I’m at school.